Usually less expensive than radon mitigation in an existing building. Pipe runs can be shorter, which saves money and promotes air flow. Proper gravel base can be installed beneath concrete slabs for improved air flow. Best conditions for a passive system. Interior pipe runs can easily be hidden in closets and chases. New construction radon mitigation details add a valuable safety factor that will save homeowners time, aggravation, money- and their lives! Radioactive radon gas emanates naturally from soil and rocks. 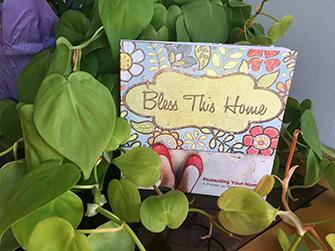 It can be present anywhere in the U.S. and throughout the world. If high concentrations of radon accumulate inside a home, the risk of lung cancer increases significantly. Fortunately, it's possible to test interior environments for radon concentration and reduce radon exposure to minimal levels using proven mitigation techniques. 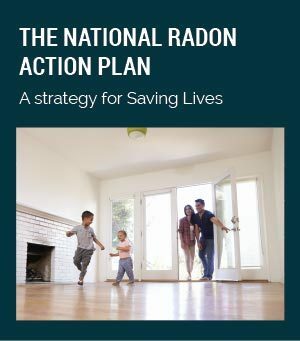 National Radon Defense dealers are trained and certified in these testing and mitigation practices to prevent radon from causing health and safety risks in your home. To schedule a radon test or mitigation quote, find your local NRD dealer today! 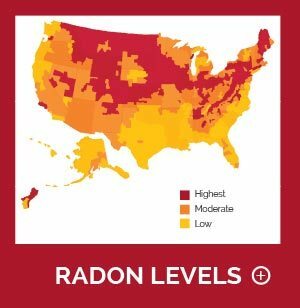 Geography, weather and home construction details are a few of the factors that can determine whether or not a home will have a hazardous concentration of radon gas. The age of the house typically has little or no bearing on the potential for radon problems. However, there are proven details that builders can incorporate into new construction to make the new home radon-resistant. An active radon system relies on an in-line fan to move radon gas from beneath the foundation to the outside, through a continuous run of plastic pipe. A passive system is designed to accomplish this exhaust action without the use of a fan. 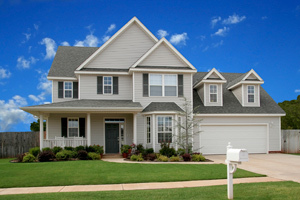 Contact one of our local radon experts to provide a radon mitigation system in your new home! We have companies that offer radon testing and radon mitigation throughout the country. Prevent radon from becoming an issue in your new home with radon testing and mtigation. Getting radon abatement details right is much easier to do during new house construction than after a house is finished. Smart builders actually install a passive radon mitigation system when building a new house to improve the property's safety and market appeal. A basic passive radon mitigation system for new construction consists of the following details, and can easily be made into an active system (if necessary) simply by installing an in-line fan. Clean gravel or aggregate should be installed in an even layer beneath the slab floor of a basement or crawl space. Code-approved polyethylene sheeting should be installed on top of the gravel layer. An airtight run of plastic vent pipe should be installed from the gravel level through the building, extending out through the roof. Caulk and sealant should be used to seal all cracks in the foundation -between slab and foundation wall, around plumbing pipes that extend through the foundation wall, etc. A sump pump system airtight lid should be installed if the basement or crawl space is to include a sump pump system. If you live in an area of the country that has high radon levels (ZONE1- see map), National Radon Defense recommends the installation of an active radon mitigation system during construction. An active system is similar to a passive system, except it has a very low gauge radon fan installed. It consumes very little energy (less than a 60 watt light bulb) and greatly reduces soil gas and moisture intrusion. Radon levels to be extremely low (passive systems are only 57% effective- many need to be activated after construction). Prevent musty odors caused by moisture. Active systems dry out the basement and remove musty smells. Count on your National Radon Defense dealer for expert, cost-effective radon system design and installation services. We are experts in radon resistant new construction (RRNC) and active radon mitigation systems. Contact one of our experienced radon testing and radon mitigation contractors throughout North America!